Obituary for Calvin Arflin | Crouch Funeral Home, P.A. 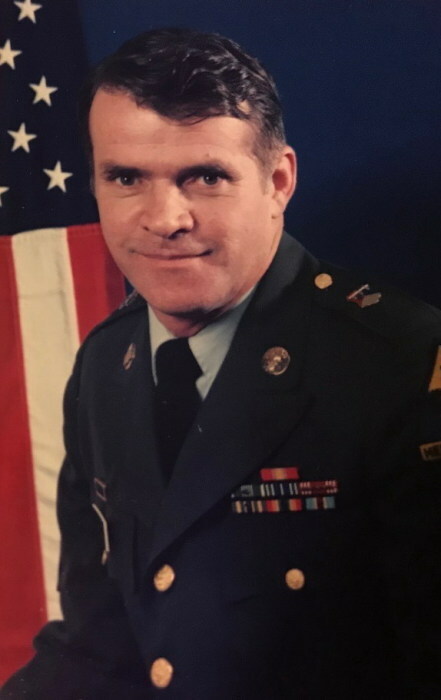 Calvin Arflin, 77 of Elkton, MD, died Saturday, January 12, 2019 in the University of Maryland Medical Center, Baltimore, MD. Born in Athens, GA, on September 17, 1941, he was the son of the late John and Doris Arflin. Mr. Arflin enjoyed spending quality time with his family. He was young at heart and especially, enjoyed being a grandfather. Known for being the handyman of the family, he was always willing to help when something needed fixing. He also enjoyed fishing and hunting and was a member of the NRA. He was a Tank Mechanic, while honorably serving our country in the U S Army for 26 years, that included two tours of Vietnam. After retirement from the army he was employed by Petro, Liberty Bell and Colonial Honda. Calvin is survived by his wife: Sandra A. (Norbury) Arflin of 45 years, son: Christopher W. Arflin (Marichu) stationed in Spokane, WA, daughter: Jennifer A. Smith (Nathan) of Colora, MD and three sisters: Vicky Brown (James), Ann Burgess (Ellis) and Linda Marks (John) and a brother: Marvin Bradshaw (Kathy). Also survived by 4 grandchildren: Nathan, Alexis, Brianna and Darren. Predeceased by his sister, Jean Caldwell. Friends may call Friday, January 18, 2019 from 1:00 pm until 2:00 pm at Crouch Funeral Home, P.A., 127 South Main Street, North East, MD. Memorial service, conducted by Rev. Terry Bernard, will be at 2:00 pm.